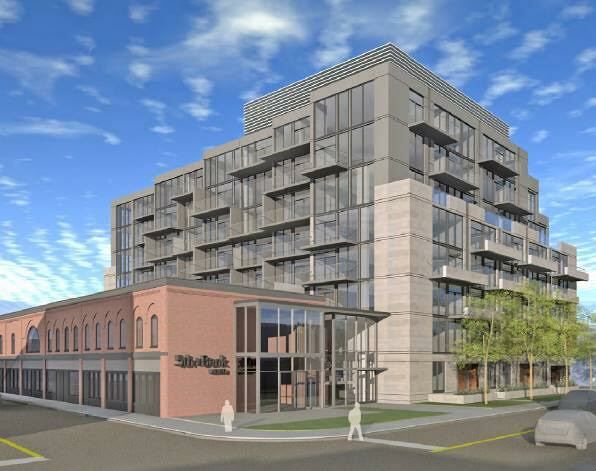 The proposed 8 storey condo building in the heart of a stable, low-rise neighbourhood does not comply with the City’s own policies. This community supports smart growth and intensification but intensification can be achieved by building within the existing 15 m (4/5 storey) zoning. Please consider supporting this petition to say no to the current proposal – we can do better to support livable communities. Note: in order to ensure email addresses are genuine, an email will be sent to your account once you’ve signed the petition. Your name will only be added to the petition once you have confirmed the email account by clicking on the link provided in that email. It will not be used for any other purpose, and will NOT add you to our mailing list. - that Council not approve the Zoning By-law Amendment proposal for 99 Fifth Avenue to permit the redevelopment of the site for an eight-storey residential building behind the retained two-storey commercial building along Bank Street as detailed in planning application D02-02-17-0113. The undersigned understand that this Petition will be considered a public document at the City of Ottawa and that information contained in it may be subject to the scrutiny of the City and other members of the general public.